Video game fans, do you know the best video game soundtracks of all time? Yeah, when someone asked like that, most of you will introduce some soundtracks from your favorite games to others. Then, thousands of different answers will make this person puzzled although some of them are quite worth listening. It is true that MTV Video Music Award tried to award for Best Video Game Soundtrack from 2004 to 2006 in order to gain greater audience. That is to say, everyone can easily tell the games with good soundtracks in 2004/2005/2006 as long as he/she is music fan. But, it is a pity that this award was eliminated in 2007 and never brought back. Under this circumstance, it is harder for you to know the certain answer about the greatest video game music. No worries; next part will give a clear answer. MacX Video Converter Pro is able to easily download video game soundtracks in MP3, MP4, AVI, 3GP, 1080P,4K UHD and more from YouTube, Facebook, Dailymotion, Vimeo, etc. 1000+ video sharing sites for offline playback. Fast speed and high quality reserved. FEZ is a 2012 indie puzzle platform game which won awards including the Seumas McNally Grand Prize and Eurogamer's 2012 Game of the Year. Main famous soundtracks in FEZ including Adventure, Puzzle, Beyond, Progress, Home, Compass, etc. And Home is a typical one, which is simple and short, yet soothing and peaceful. Some game users download this video game soundtrack as a great alarm for waking up in the morning. Just as its name. Journey is all about wandering around and exploring. Its soundtrack gives you an awesome backdrop for this exploration, which cuts out the noise that modern games introduced. Some people believed that even some movie soundtracks don't like this. So, if you are looking for best video game soundtracks, Journey soundtrack can't be missed. It is an action game with role-playing elements that follows the Kid as he strives to restore a fallen world. 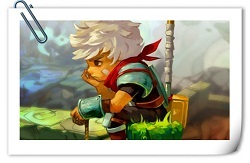 It is generally believed that Bastion's soundtrack is so excellent which will give you the feeling of the Wild West while also being upbeat and taking you to a fantasy world. This greatest video game soundtrack is suitable when user need some music to keep him/her fantasizing about saving the world. The Assassin's series has already been popular in many years and many games lovers still prefer to install it which still owns high quality. The soundtrack in Assassin Creed II is historic and beautiful since this game borrows from historical locations and events. The two hours length video game music is plenty for you to enjoy. 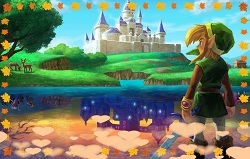 It is well known that Zelda is one of the most classic video games as well as its soundtrack. Obviously, Wind Waker's video game soundtrack is gorgeous which has an Irish feel with pipe-based instruments bringing a sense of being in the beautiful outdoors. In addition, it is lengthy such that you needn't worry about changing tracks often. Beyond question, the foregoing top video game music is nice and probably a majority of us haven't heard them before. Therefore, some people begin to search them on internet for listening ASAP. Unfortunately, lots of music sites ask you to pay some money no matter for online streaming or downloading. 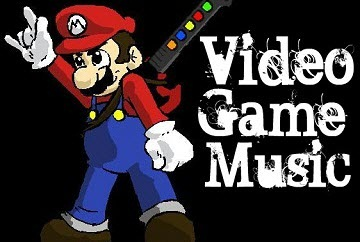 Anyhow, it is worth mentioning that you can get video game soundtrack download free from YouTube where provides users much free video game music resource. For quickly downloading best video game music, a professional and powerful YouTube music downloader is indispensable. Surprisingly, MacX Video Converter Pro is such kind of functional music downloading program. It is capable of effortlessly download video game soundtracks or any music video from YouTube, Facebook, Dailymotion, Vimeo, etc. 300+ video sites, including Disney movie soundtrack, top movie soundtracks from Hollywood Bollywood movies and more. By the way, it also can enable you to easily convert downloaded video game soundtracks to over 420 output profiles for offline enjoying on portable devices like iPhone Xs/Xs Max/XR, iPad Air 2/Mini 4, Android devices etc. Furthermore, you also are allowed to download video clips, movie HD trailer, TV shows from YouTube with the aid of this excellent Mac music downloader. Now, follow the instruction to download your favorite soundtracks as below. Step 1: Free download and run this video game soundtrack YouTube downloader. Paste the URL of the soundtrack open in YouTube and click "analyze" to load the music video. Or click "paste & analyze" button to automatically detect videos open on website page. Step 3: Then click button "Browse" to choose the target output folder. Step 4: Click "Download Now" and start downloading video game music freely. Note: To convert downloaded game soundtracks to other video formats, select "Auto add to convert" and later the software will automatically jump to the conversion page.